Standard Drive membership puts you in the driver's seat. It's easy to post and share your own videos. Subscribe to follow your favorite channels. Engage with other members by sharing your comments. Save your favorite videos and shows to watch later. Get breaking news and new video alerts in your account. Create personalized playlists of your favorite videos. Hammer Down and Try Maximum Drive. Watch TNN Original Series shows and videos commercial-free for only $4.99/month. Try it FREE for 2 weeks. Cancel any time. Exclusions apply. See FAQ's below for details. Choose Standard Drive (FREE) or begin your Maximum Drive 2-week FREE trial NOW. Enjoy all these Standard Drive benefits for free! Post and share your own videos. Save videos you want to watch again or later. Receive updates directly from your account. Plus much more! Create your account now. Get all the benefits of Standard Drive, plus ad-free viewing! Claim your 2-week FREE trial. What is the difference between a Standard Drive and Maximum Drive membership? A Standard Drive membership is absolutely FREE and entitles you to all of the membership benefits described such as the ability to subscribe to your favorite channels and receive notifications/alerts directly into your account when a new episode or video is uploaded. A Maximum Drive membership provides an uninterrupted, ad-free viewing experience for all TNN original series shows. It’s only $4.99/month, but you can try it risk free for 2 weeks. Learn more. Will I ever be asked to pay for a Standard Drive membership? No, you will never be required to pay for a Standard Drive membership. Enjoy it for FREE! As a Maximum Drive member you will enjoy TNN original series shows ad-free. It’s simple. You will not be served pre-roll, mid-roll or post-roll video ads. You will also not be served in-player pop up banner ads or in-player text ads. You will still see static digital banner advertising on TransportationNation.com and branding messages inside TNN original series shows and videos. You will also see video ads from third party content creators shared to Transportation Nation Network from platforms like YouTube, Vimeo, etc. Which shows and videos are delivered ad-free as part of the Maximum Drive subscription plan? 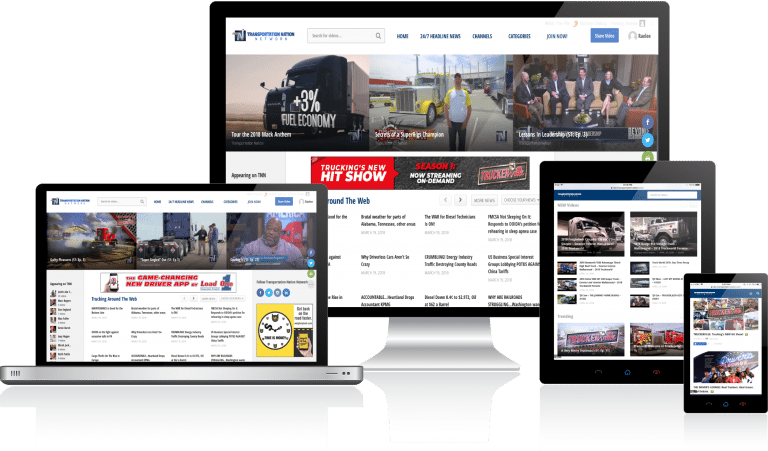 All available episodes of Truckerville, The Driver’s Lounge, Beyond The Boardroom, Trucker Traders; Tips, Tricks, & Trucks; Tour About Trucking, and TNN featured news video reports are included ad-free as part of the Maximum Drive membership. All other videos or shows not mentioned above or are not expressly represented as "TNN original series shows" are NOT being offered ad-free, as TNN does not control the monetization rights of third party content creators on other platforms such as YouTube, Vimeo, etc. What if I want to cancel my Standard or Maximum Drive membership? You can cancel your Standard (FREE) or Maximum Drive membership at any time. Refunds and credits aren't issued for partial billing periods. Learn more about the refund policy in our Terms of Service.